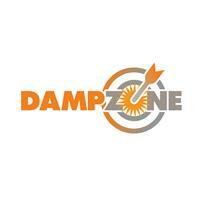 Damp Zone Ltd - Damp Proofer based in Hall Green, West Midlands. Damp Zone Limited deals with all aspects of Damp and Condensation issues. Covering Birmingham and surrounding areas within 50-mile radius. Our services are second to none. Dry and Wet Rot Treatment. Having over 12 years’ experience in all aspects of Damp proofing, you can hire us with absolute confidence. When the team at Damp Zone arrive on a job the aim is to provide fast, efficient and friendly services to our customers. Our highly trained Surveyors and technicians will leave no stone unturned and will go out of their way to provide complete customer satisfaction from the moment they step foot in your home. You can put your full trust into Damp Zone as we transform your Damp house into a Dry, Warm home. So, if you are looking for damp proofing services, you have come to the right place. Call Dampzone today on 0121 6901111 for a free quote.